This story of two women begins in 1961. That was the year Rachel “Bunny” Mellon, the daughter of the founder of Warner-Lambert and the Gillette Safety Razor Company and wife of banking heir Paul Mellon, hosted an August picnic for some close friends at her home on Cape Cod. Two of the guests were President and Mrs. Kennedy. History, Herstory, Our Story — And Giveaway! Enjoy the interview with the author, and see below for giveaway details. Very often, when gardeners walk through the well-tended garden of another gardener, the first impulse is to notice the plants, the textures, the play of color from one bed to the next. Quickly behind that assessment is the acknowledgement — and admiration — for the work and thought that went into creating their garden paradise. It’s that thought which makes The Victorian Gardener (Shire Publications), by Caroline Ikin, such a fascinating book. Written with Ikin’s keen eye for detail and passion for all things Victorian, the book is a tribute in both words and photos to the men — and eventually the women — who made gardening their life’s work, who tended some of the most famous estate gardens in the world, and who did much of the work with their hands, muscles, and brains. I recently had the chance to speak with Ms. Ikin, whose previous book, The Victorian Garden, was also featured on this blog. The garden staff propagated and potted thousands of bedding plants each year. Photo courtesy of The Garden Museum/London. NGDM: This is very exciting for me, since you mentioned you were working on this book in our earlier interview promoting The Victorian Garden. In that interview, you mentioned how drawn you were to the Victorian time period — the people, the technology, the role of women. Did anything surprise you in your research for The Victorian Gardener? CI: It is astounding just how dedicated these young men were in the pursuit of their chosen career. To become a gardener they had to work their way up through the ranks of the profession, moving from garden to garden to gain experience and often living in very basic accommodations. They were expected to study in the evening, keep detailed journals of their progress, learn Latin, bookkeeping and geometry, and never really had any time off as the glasshouse vents had to be opened whether it was a weekday or a weekend. It was inspiring to research the lives of the pioneering women gardeners who enrolled in training courses and overcame prejudice to gain employment as gardeners alongside men. However, my admiration of this achievement was tempered by the fact that many of these women abandoned their fledgling careers after a year or two to get married, forsaking their hard-won vocation so rapidly. NGDM: At first glance, The Victorian Gardener appears to be a history book — or a tribute — to Victorian gardeners and their contributions to gardening today. I must tell you, though, that as I read your book I felt I was reading more of a family tree than a history book. I felt a very strong connection to the men — and eventually the women — who toiled in the garden. Was that your goal when you set out to write this book? CI: There has been a lot written about gardening and garden design, but very little about the history of the gardening profession. I wanted to research the lives of the people who toiled behind the scenes to create such spectacular gardens for their employers and learn how they accomplished so much with the resources available to them at the time. It took a lot of dedication to become a gardener in the Victorian Era and there was opportunity to be grasped by the most ambitious young men. The faces looking poignantly out of the old photographs hint at untold stories and it was this history I wanted to explore. Female students learn the art of pruning at Studley College, 1910. NGDM: In our previous interview, you mentioned that the class structure and social conventions of the Victorian Era would prove too limiting for you. For many Victorian women who gardened, that seemed to be true as well — but as a male reader, I must say I was very impressed with the dedication that these gardeners displayed for their craft. What do you think they could teach us about gardening? What do you think they would think of gardening today? Apprentices and experienced gardeners are pictured together. CI: The Victorians recognised the value of apprenticeship where experienced gardeners would pass on their skills to the next generation. Their methods were based on trial and error, learning from experience and working with nature. Victorian gardeners did not always understand why their techniques worked; they just knew that they did. 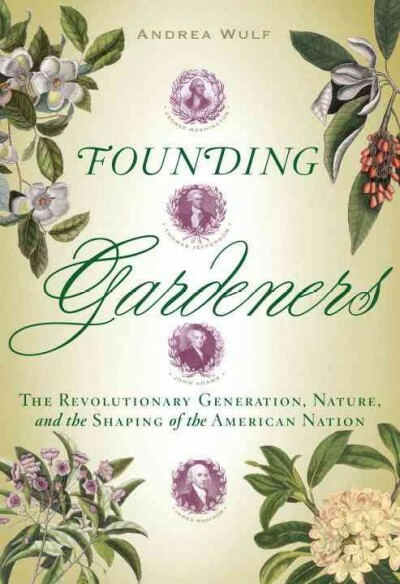 When scientific discoveries demystified the nature of botany and processes such as photosynthesis were understood, the gardening profession was elevated to a new level and training courses were established to teach gardeners not only the practical skills necessary to grow plants, but also the science behind the practice. A multi-bladed shears advertisement from Gardening Illustrated, 1879. Just as we do today, Victorian gardeners had to embrace new technology and innovative gadgetry, and experienced gardeners seemed remarkably adept at distinguishing the useful from the worthless. It is no surprise that basic tools such as the trowel and the rake have been in use for centuries with no change to their design. Although the working conditions of gardeners have improved since Victorian times, it is still a profession where you have to start at the bottom and work your way up, learning all the time from other gardeners, studying books on botany and plant propagation, gaining experience in gardens with different types of soil and climate, working long hours and on weekends. I think a Victorian gardener time-travelling to a garden in the twenty-first century would recognise a lot of what he saw, and would be disappointed to see that, despite advances in science and technology, there was still no effective way of getting rid of slugs, that weeding was still done by hand, and that water was carried around in a watering-can. NGDM: As in your previous book, the artwork and collection of photos is astounding! When it comes to putting it all together, how difficult is it for you to narrow down your selection? CI: I was very fortunate, as I was with my last book, to have access to the extensive collection of archive images at The Garden Museum in London. Although there are many group photographs of Victorian gardeners posing with the tools of their trade, it was quite tricky to find portraits of named gardeners, as few were recorded for posterity in this way, which reflects their status in society. It was also very difficult to find enough colour images to satisfy the publishers – all these remarkable photographs are, of course, in black and white. Musical comedy star Marie Studholme, 1903. NGDM: Two photos in the book jumped out at me — and they’re both of women. One has a woman in full Victorian attire — as if she were going to a garden party — while pushing a lawn mower. The other features a trio of women in men’s clothing. When you’re in your own garden, what’s most comfortable for you to wear? CI: I love that photograph of the women gardeners at Kew, looking rather defensive in their breeches and boots. The staff at Kew were put in a tricky position when they took on these first women gardeners as there was no precedent for female gardening attire – women would not dare to show their ankles, let alone don a pair of trousers! The voluminous skirts of Victorian fashion were liable to squash the plants, and frills and lace were hardly practical for digging, barrowing and muck-spreading. The decision to allow women to wear the same clothes as men may seem like a radical act of equality, but I suspect it was made out of necessity and a lack of other options. The idea of wearing a shirt and tie and a three-piece suit for gardening does strike me as uncommonly impractical, not to mention uncomfortable – I prefer jeans and a T-shirt and a sunhat (I’m very much a fair weather gardener, I’m afraid). Breeches, boots, and aprons on the female students at Glynde School, 1910. What gardening clothing or garden tool could you not live without? If you would like to win your own copy of Caroline Ikin’s The Victorian Gardener, please leave a comment about the garden clothing or garden tool you could not live without. For a second chance to win, please visit the Nitty Gritty Dirt Man Facebook page, and answer the same question there. Entries should be received by Friday, May 16. A winner will be announced on Sunday, May 18. Thanks for participating — and Happy Mother’s Day! Now that the new school year has started, reading — both books and blogs — is one of those joys that get pushed aside. But I’ve decided to make the effort. That’s why I picked up Colm Toibin’s The Testament of Mary, a short book that tackles a very big subject: the latter years of the Blessed Mother. In between her recollections of her actions during her Son’s life, there was one passage that jumped from the page, a paragraph that captured me at this change of seasons. Why was Mary staying in the house? Why was light so important to her? Could it be that Mary suffered from Seasonal Affect Disorder, also known as SAD? I know I do. When the sun goes down, my SAD goes up. When I received Gnomes as a gift in 1976, it ignited my imagination. I not only loved the total appearance and creativity of the work, but Wil Huygen’s words and Rien Poortvliet’s illustrations reached out from the pages and carried me into a secret, fantastical world. Nearly 40 years later, the book has that same hold on me — and more. I revisited the book while cleaning out a bookshelf. Just flipping through the pages brought me back to the wonder I felt as a 13-year-old boy.